The CW has released an official plot synopsis for the third episode, dropping ominous hints about the fate of a certain prominent ally of our favorite speedster. It's no secret that a brand new antagonist is headed towards Central City, posing a fresh set of challenges for Team Flash in season 5. In the light of the information available about the Barry Allen nemesis - called Cicada - the CW has now released an official plot synopsis for the third episode, dropping ominous hints about the fate of a certain prominent ally of our favorite speedster. "Cicada targets a member of Team Flash," read the plot summary for the episode, ironically titled, 'The Death of Vibe'. If the title sets off an alarm, it's probably for the best as it directly targets Cisco Ramon's alter ego, Vibe (played by Carlos Valdes). 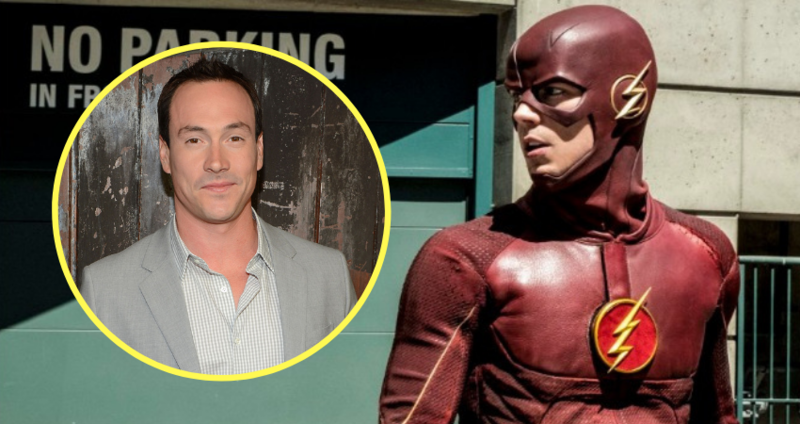 "After Cicada’s (Chris Klein) attack on The Flash (Grant Gustin), the team realizes they need to think outside the box to stop this dangerous new foe. Desperate to help her parents, Nora (Jessica Parker Kennedy) comes up with a plan that ultimately puts a member of Team Flash in danger," the synopsis continued, "Meanwhile, Caitlin (Danielle Panabaker) delves into her past." Indeed the telling episode summary throws Vibe right under the bus, even before the new season of 'The Flash' commences on the CW. However, if our past experiences are any indication, one way or the other, Team Flash led by Barry Allen's superhero always seems to find an escape out of such fatal situations. Although, the stakes will be higher this season, thanks to an early attack on Barry, the subsequent introduction of Nora (Barry and Iris' daughter from the future), and the arrival of the mysterious Cicada (starring Chris Klein). A previously released synopsis for The Flash season 5 episode 2, in fact, revealed how Barry and his team will be crossing path with Cicada sooner than expected. "As Barry (Grant Gustin) helps his daughter, Nora (Jessica Parker Kennedy), become a better speedster, he and Team Flash also track down a meta stealing high-tech weapons, only to cross paths with a new foe named Cicada (Chris Klein), who is hunting the very same meta with nefarious intent." the description teased. Meanwhile, 'The Flash' star Gustin himself has also been hyping up Cicada's introduction into the plot. "He can dampen other metahuman powers, and we don’t know at first how he’s able to do that. He’s got an edge that no other big bad has ever had. We don’t know who he is," the actor teased adding, "He’s mysterious. He’s just kind of an intimidating, big scary man that can render pretty much all of these metahuman superheroes useless, more or less, in battle." The Flash returns with season 5 on The CW on Tuesday, October 9 at 8 pm ET.